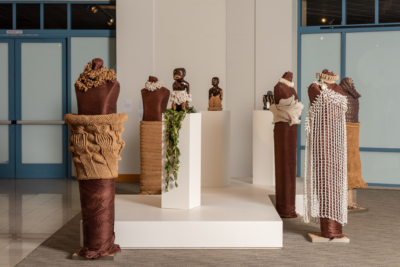 Can Carol Fukunaga’s hyperlocal approach overcome the islandwide perspective of three challengers, including one with widespread union backing? With three decades of service in the Legislature before she joined the Honolulu City Council in 2012, Carol Fukunaga is no stranger to campaigning. The three people looking to unseat her and represent City Council District 9, which stretches from Makiki to Aiea, are much less familiar with the process. 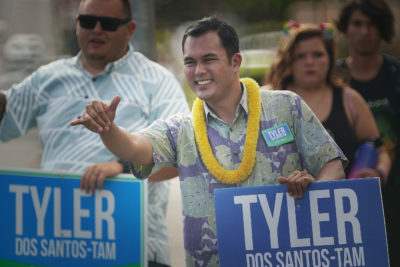 Ikaika Hussey, Zack Stoddard and Tyler Dos Santos-Tam have never held elected office. 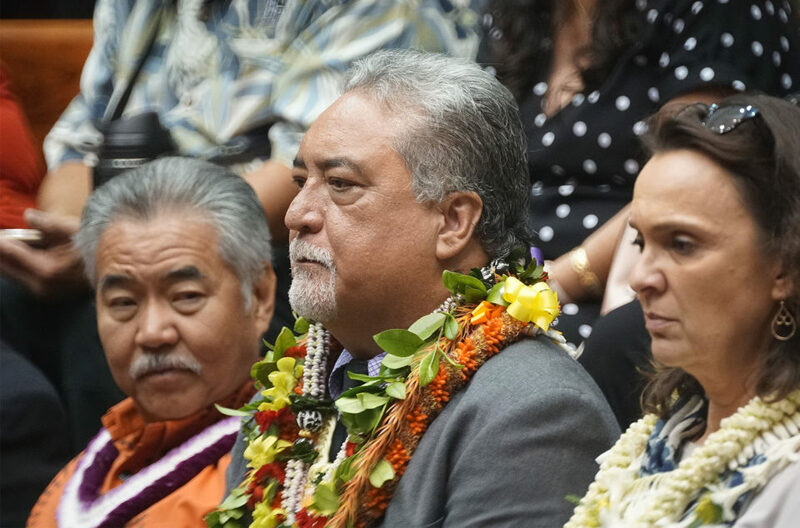 Fukunaga has shied away from the limelight since joining the council in 2012, when she filled a vacancy created by now-U.S. Rep. Tulsi Gabbard’s resignation. In the Aug. 11 primary, Fukunaga faces challengers frustrated with the status quo. 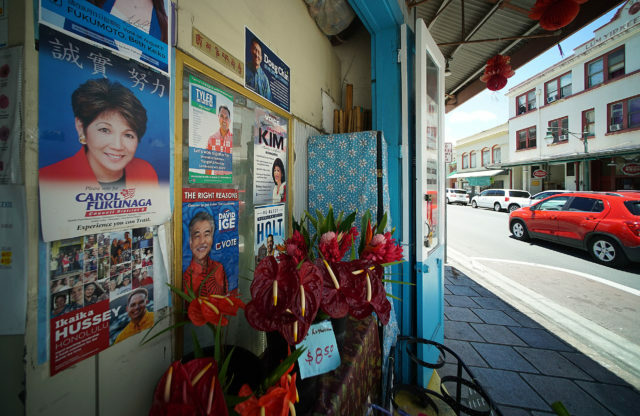 Councilwoman Carol Fukunaga’s campaign posters can be seen at flower shops in Chinatown with text in Chinese. A candidate would have to receive more than 50 percent of the primary vote to win outright. 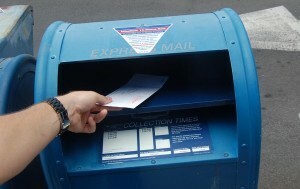 Otherwise, the top two advance to the Nov. 6 general election. Hussey, 40, and Stoddard, 31, have big ideas about how to address climate change and the rising cost of living in Honolulu. 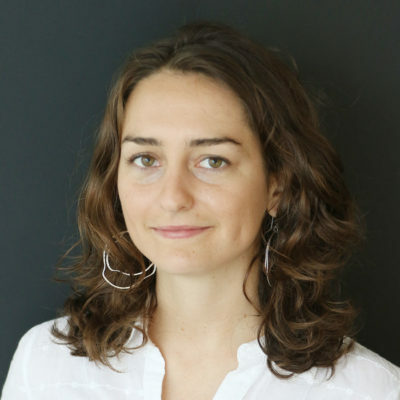 Both want to ban single-use plastics such as straws and require developers to build affordable housing in perpetuity, meaning new units designated affordable have to stay that way forever. “We’ve got to start thinking out of the box,” Stoddard, a city planner, said at a PBS Hawaii debate. 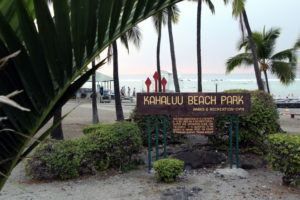 Outside-the-box ideas don’t come up too often at neighborhood board meetings in the older communities that make up much of District 6, which includes Nuuanu, Chinatown and Kakaako. 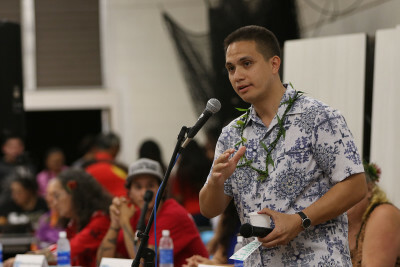 Dos Santos-Tam, 30, is a lobbyist who has worked for five years as the executive director of the Hawaii Construction Alliance. He’s also the only candidate in Honolulu’s four City Council races this year who has raised more money than an incumbent opponent. Data from the Campaign Spending Commission shows Dos Santos-Tam’s campaign raised more than $144,000 as of June 30, about $3,700 more than Fukunaga. Hussey, who publishes Summit Magazine and ran unsuccessfully for state representative two years ago, raised just over $50,000. Stoddard said he won’t accept campaign contributions. A proponent of public transportation with strong union backing, Dos Santos-Tam has advocated for the completion of Honolulu’s $9 billion rail project while Fukunaga has been a frequent rail critic. “It doesn’t surprise me that one of the candidates who’s running against me is also someone who has strong ties to the construction industry,” she said. Fukunaga takes a hyperlocal approach to politics and said she wants to spend the next four years seeing projects in her district through to the end. 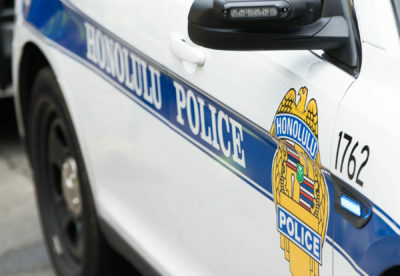 The Law Enforcement Assisted Diversion program, a collaboration between police and social workers, is set to begin in Chinatown after years of planning. Fukunaga authored a resolution to get the program underway faster. She’d also like to see a medical resource and hygiene center for homeless people open in Iwilei. Rather than focus on issues specific to District 6, the challengers tend to embrace islandwide issues like housing affordability and climate change. 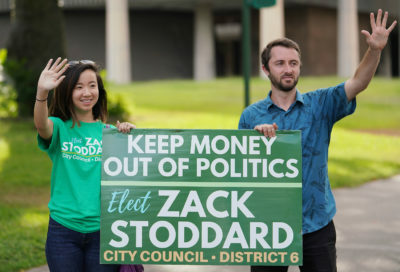 Zachary Stoddard and his campaign manager, Connie Choy, at Punchbowl and Beretania streets. 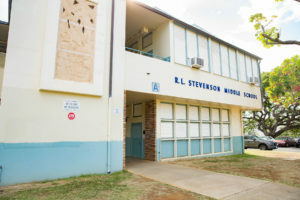 Stoddard works for the Honolulu Department of Planning and Permitting. Stoddard frequently cites inspiration he gets from projects in progressive cities around the U.S. and elsewhere: Vancouver’s “speculation tax” on foreign home buyers, San Francisco’s eco-friendly requirement that new buildings feature solar panels or “green roofs,” and a curbside food-waste-to-compost program in Portland, Maine. He wants to require developers to build more affordable housing for people at lower-income brackets and ensure the units are built in the same neighborhood as developments sold or rented at market rate. 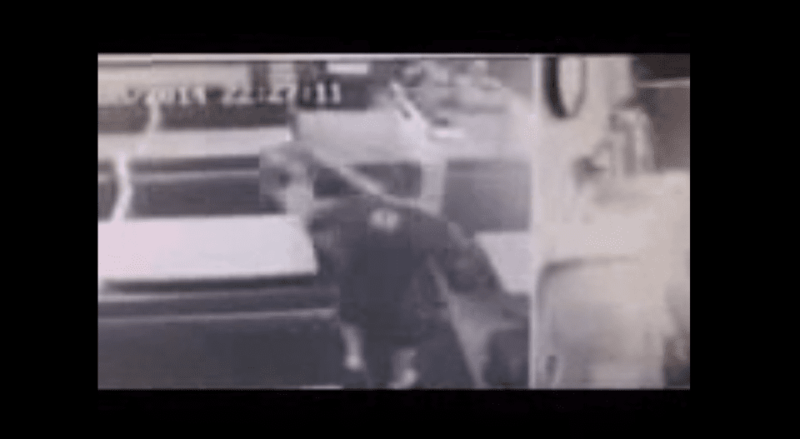 “What we’re seeing is basically islandwide gentrification,” Stoddard told Civil Beat. Christine Camp, president of real estate development company Avalon Group, calls Stoddard’s and Hussey’s concept of an in-perpetuity requirement for affordable housing an “extreme position.” To build under those conditions, developers would need state and municipal government bonds and land, she said. Otherwise, she said the projects simply wouldn’t pencil out. Tyler Dos Santos-Tam, executive director of the Hawaii Construction Alliance, sign-waves every day around 6:45 a.m.
Dos Santos-Tam prefers offering developers incentives to build. That includes easing up on the permitting process and exempting developers from certain state and local taxes if they build low-income rental units. Hussey wants the city to move the entire downtown rail line mauka, put it underground and end the route at the University of Hawaii Manoa instead of Ala Moana Shopping Center. 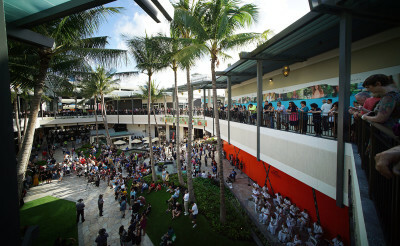 “Right now rail is a $9 billion subsidy of Ala Moana,” he said. 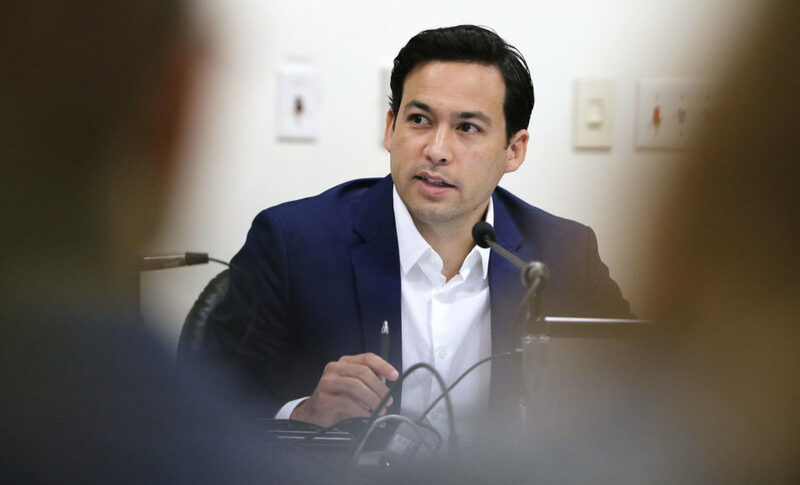 His endorsements include the Democratic Socialists of Honolulu, the local chapter of the Democratic Socialists of America. DSA members include 28-year-old Alexandria Ocasio-Cortez, who, in a remarkable upset last month beat longtime incumbent Democratic Rep. Joseph Crowley of New York. A far-left agenda may have propelled Ocasio-Cortez closer to a seat in Congress, but it’s hard to say if the early morning customers at Nuuanu Okazuya or Maunakea Market in Chinatown are paying attention. Their parking meter fees just increased and homeless camps keep springing up along River Street near a city-run botanical garden. 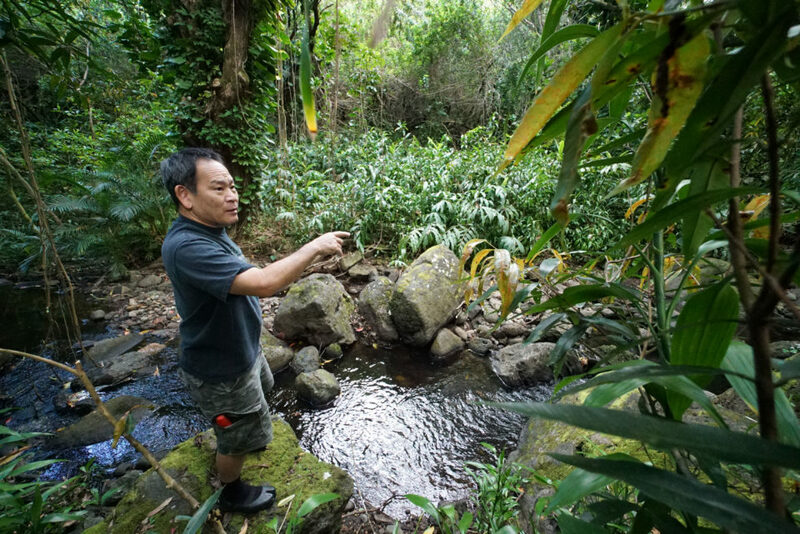 While Fukunaga’s actions on the council have sometimes put her at odds with environmentalists and city planners, some constituents praise her. 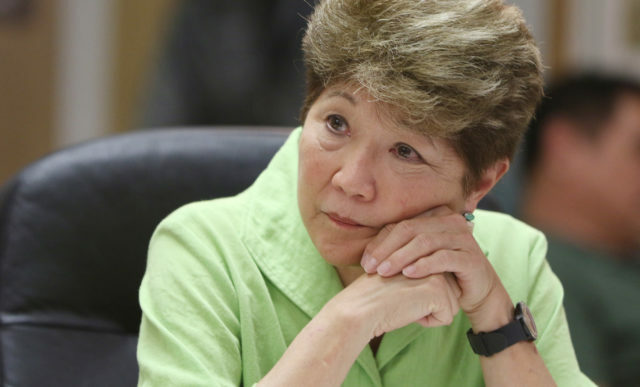 “She has basically her ear to the ground and she responds to the residents’ concerns,” said Wesley Fong, who has served on the Liliha/Puunui/Alewa/Kamehameha Heights Neighborhood Board for a decade and is now the chair. 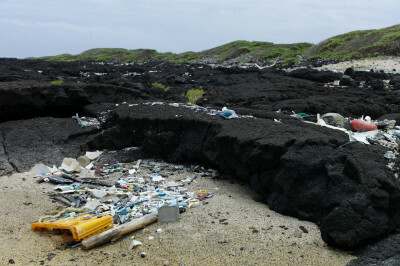 Fukunaga killed a bill last November that would have banned plastic foam food contaiers. Owners of Pho Five-O, Loco Moco Drive Inn, Kim Chee II and other local restaurants testified against the ban. 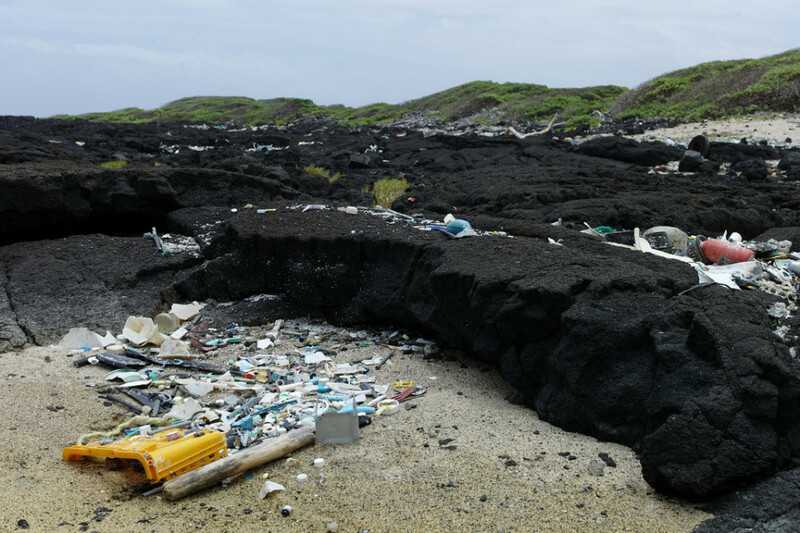 In November, Councilwoman Carol Fukunaga deferred a measure that aimed to ban plastic foam takeout containers. She said she’s considering offering property tax breaks or permit fee waivers to restaurant owners who stop using plastic foam. Fukunaga, chair of the Public Works, Infrastructure and Sustainability Committee, also sided with businesses in her opposition to an outright ban on plastic bags at grocery stores and other retail outlets. Honolulu banned thin plastic bags in 2012, but stores just offered thicker plastic bags at checkout lines. A bill to close the loophole languished in Fukunaga’s committee for months in 2016. She eventually amended and passed it – stores are now required to charge customers 15 cents per bag. 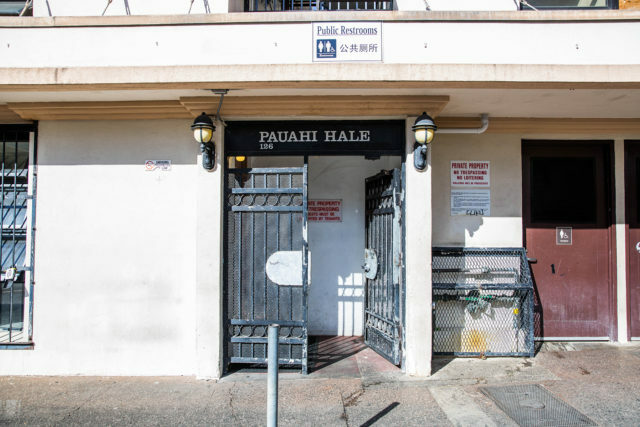 The city added two public restrooms and showers to Pauahi Hale, a city-owned building on Pauahi and Maunakea streets in Chinatown near River Street. Last year when the council voted to increase parking meter fees, Fukunga tried unsuccessfully to exempt Chinatown streets from the fee hike. Longtime community leader Stanford Yuen said in testimony the increase represented “the City’s insensitivity to Chinatown,” arguing it would hurt businesses already struggling as a result of the neighborhood’s high homeless population. Under her watch, the city installed public restrooms and showers in Chinatown to curb public defecation and aid homeless people. When the city installed sidewalk extensions in Chinatown that narrowed roadways and upset business owners, Fukunaga authored a bill to ban the extensions.